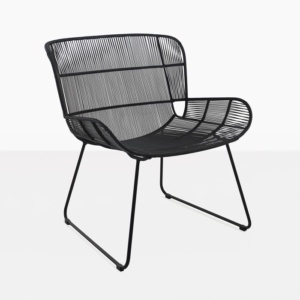 Several enticing design elements make this chair interesting and eye catching. 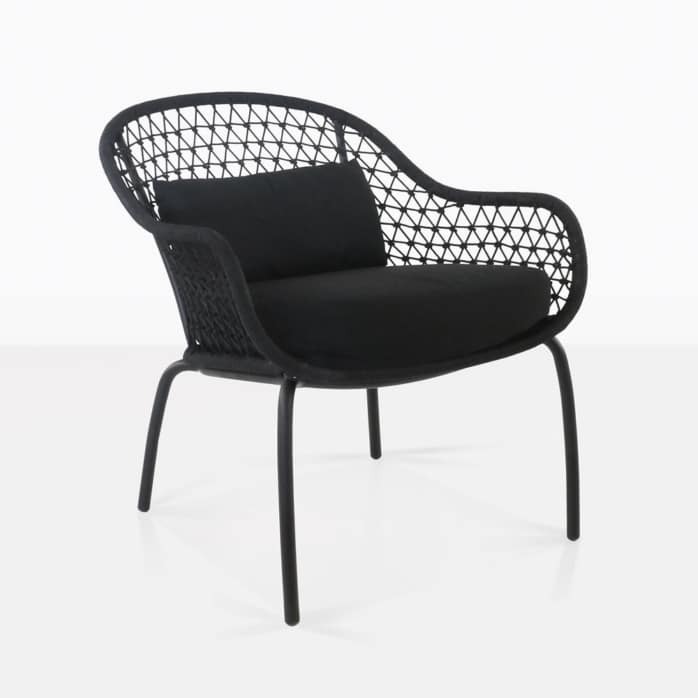 The curvy frame is fun and inviting, the woven and knotted rope is geometric and contemporary, and most importantly, the low profile and angled back make it a very comfy chair. It’s a delightful reading and relaxing chair. We love that it achieves this level of comfort all while being lightweight with a small footprint. 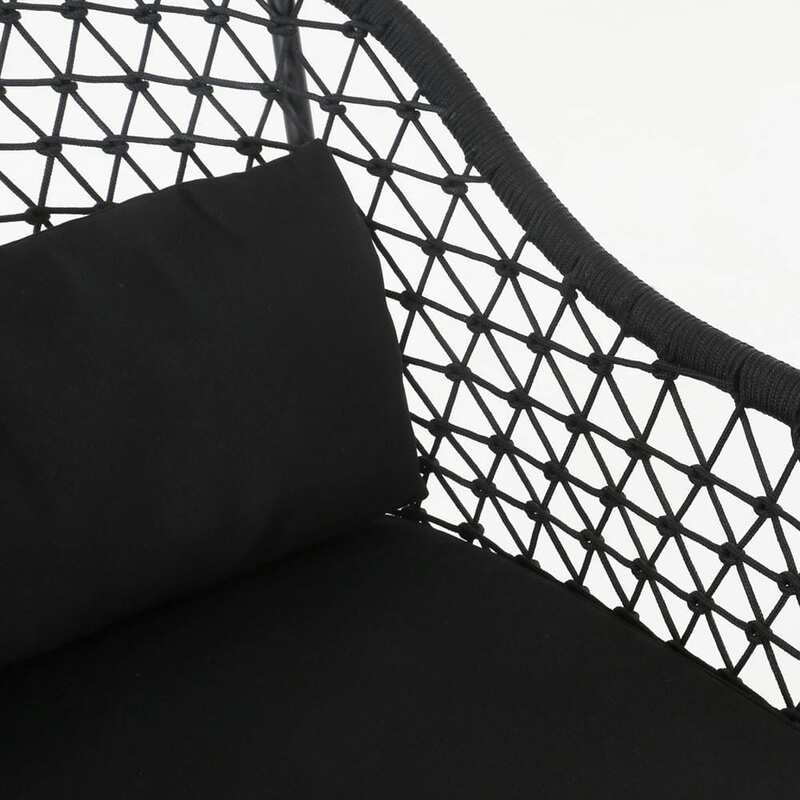 The Libby relaxing chair is made with a powder-coated aluminum frame and high-tech rope and topped with Sunbrella® cushions. 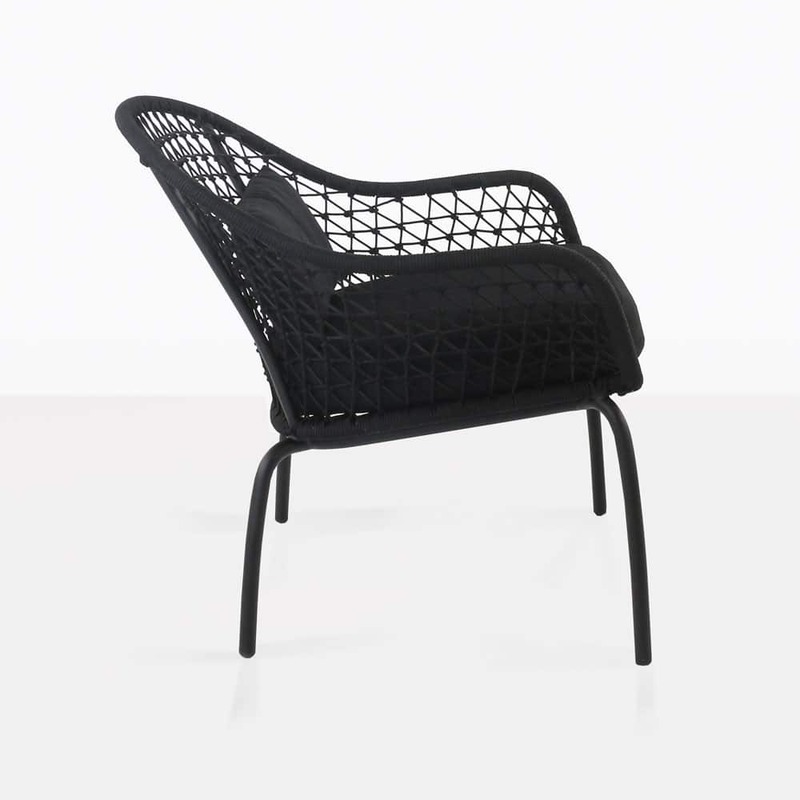 This outdoor lounge chair is easy to move and rearrange in your space. 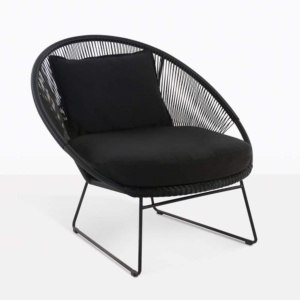 It could also be a fun addition to your balcony or verandah. 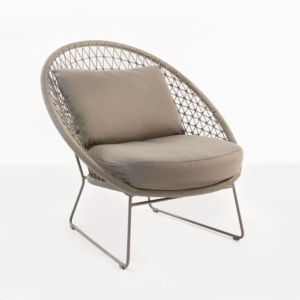 Add a modern and eclectic vibe to your outdoor space with the Libby relaxing chair. 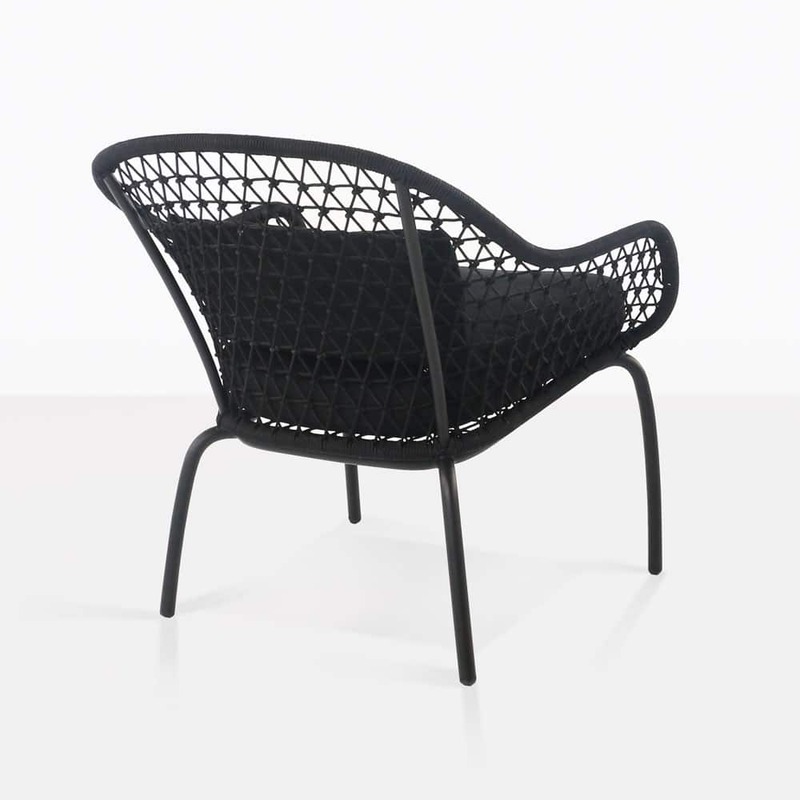 Its striking design in solid black will be a popular place to sit when guests arrive. Add a colored throw pillow for even more punch, or go for the popular black and white look theme. We have many different side tables that would work beautifully next to this chair. Discover all your options by browsing our website or visit our showroom in Parnell. We are open daily and personally answer the phones during store hours.